Before Elvis, before Elton John, Madonna and Lady Gaga, there was Liberace - pianist and flamboyant star of stage and television. Synonymous with showmanship and extravagance, he lit up every stage he performed on, gaining millions of fans across the globe. 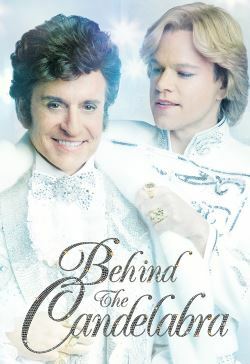 From Academy Award winning director Steven Soderbergh, Behind the Candelabra is the outrageous and gloriously entertaining true story of Liberace (Michael Douglas) and his secret love affair with the young and handsome Scott Thorson (Matt Damon) - an intense rollercoaster ride of hedonistic fun, flamboyance and excess.